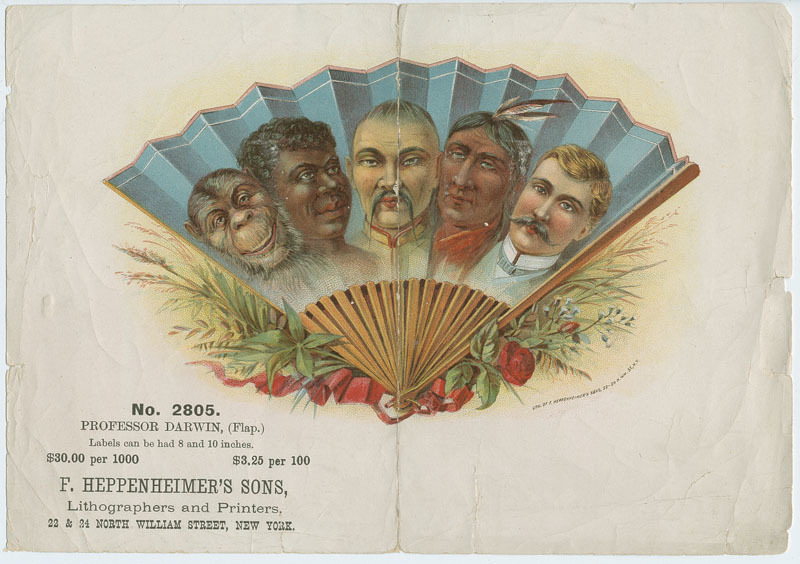 Color representation of monkey and persons of African, Asian, Native American, and European ancestry on a fan. 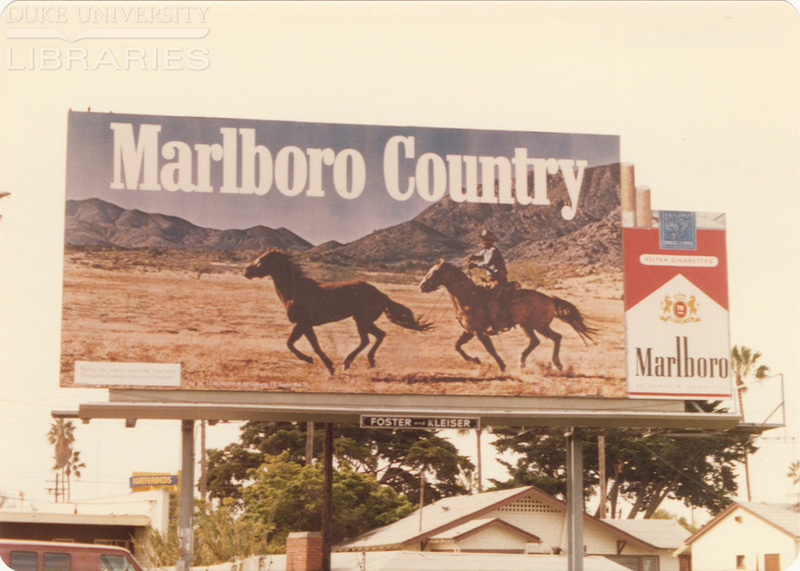 European American cowboy on horse chases another horse through mountainous area. 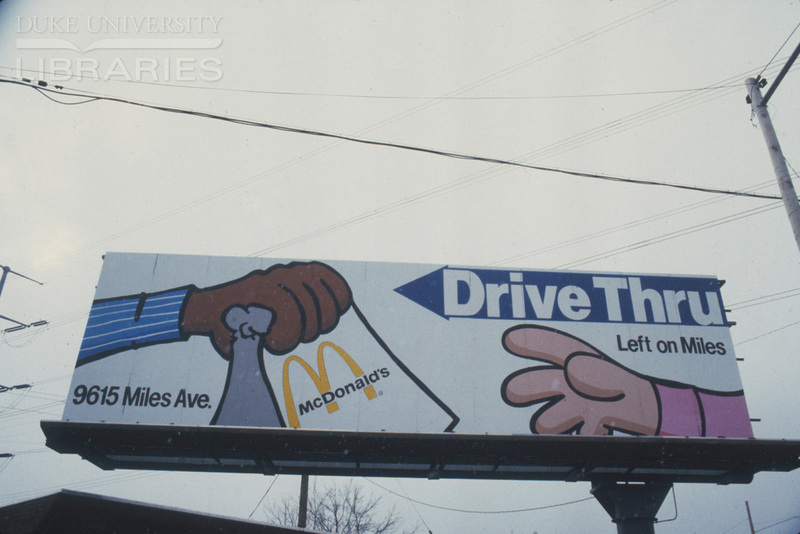 A brown hand giving a McDonald's bag to a white hand. 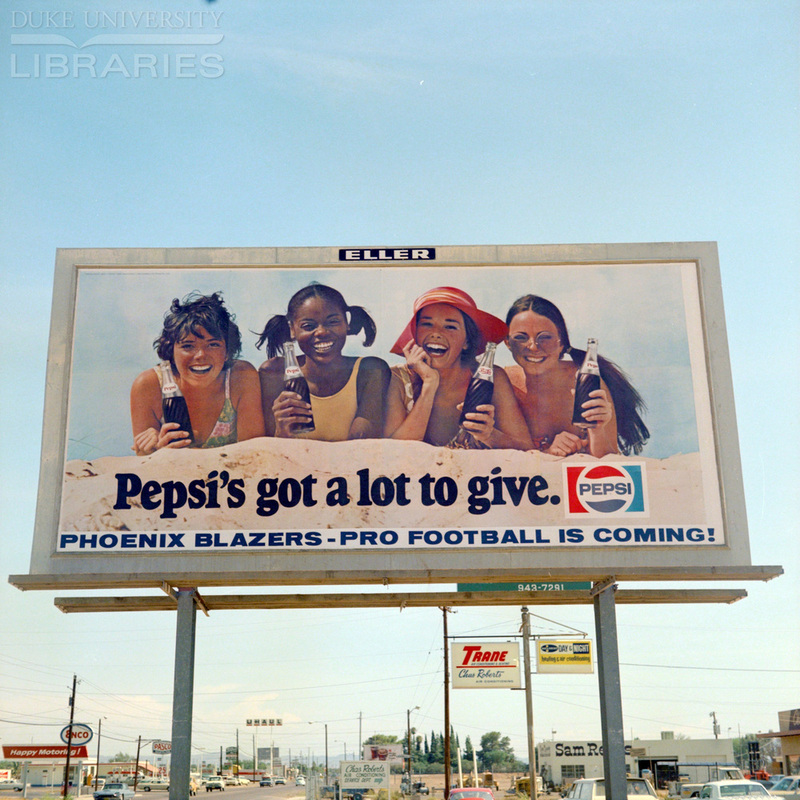 Young European American man and young European American woman driving in a car. 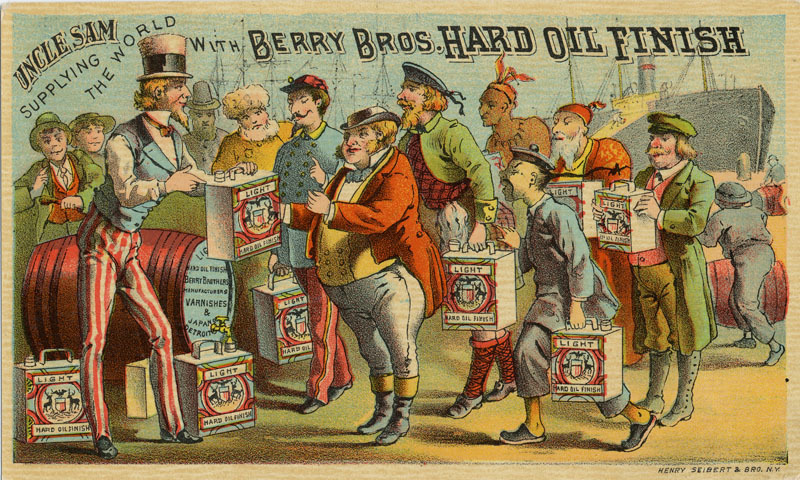 Uncle Sam hands out Berry Brothers hard oil finish to men representing a range of nationalities. 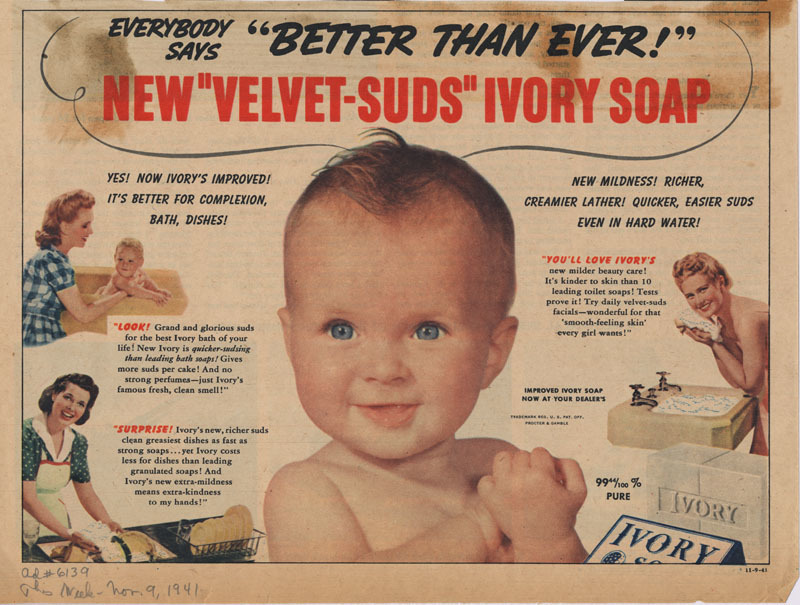 Large color photograph of a European American baby surrounded by three photographs of European American women in domestic activities. 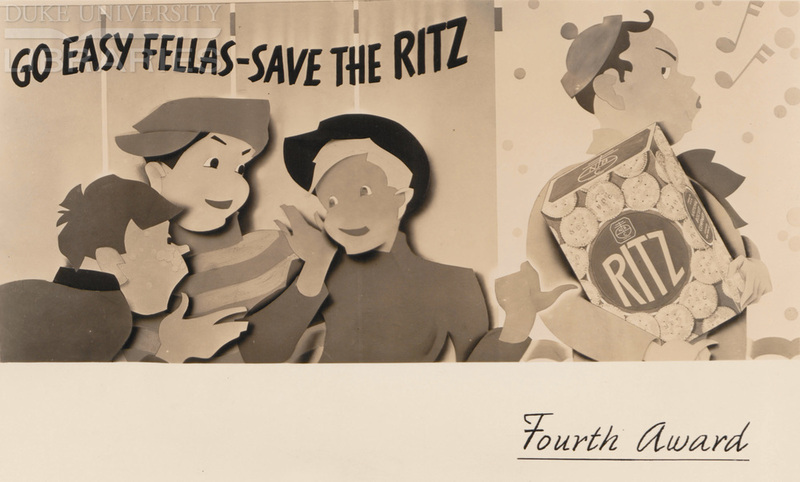 Three young European American boys whisper while one other young European American boy takes the box of Ritz. 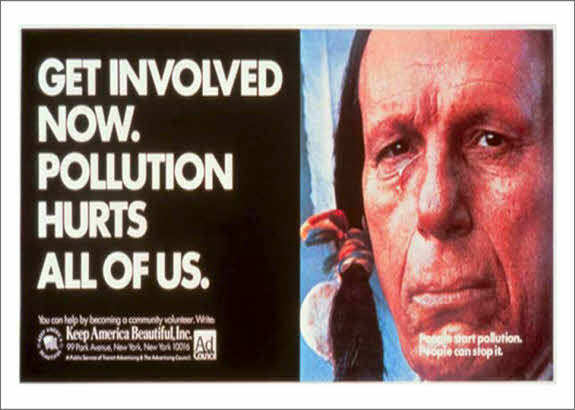 Iron Eyes Cody sheds a tear about pollution. 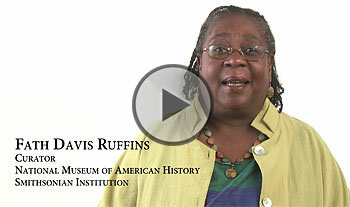 This educational site provides an important and rare look into the ways that race and ethnicity have shaped advertising and the ways that advertising has shaped our understanding of race and ethnicity.